The first visit to the orthodontist will include a review of medical/dental history and a clinical examination to determine if and when treatment is indicated. If it is time to start treatment, additional diagnostic records are made. Complete diagnostic records typically include a medical/dental history, clinical examination, plaster study models of the teeth, photos of the patient's face and teeth, and X-rays. This information is used to develop a custom treatment plan for each patient. These records are also helpful in tracking the progress of treatment as the teeth move under orthodontic care. The appointment when you get your appliances (braces, expanders, etc.) usually takes from one to two hours. You'll then see us at regular intervals 4 to 8 weeks apart for an adjustment, which takes 20 to 40 minutes. Patients are seen by appointment only. 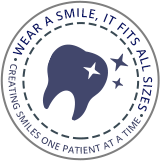 We make every effort to be on time for our patients, and ask that you extend the same courtesy to us. If you cannot keep an appointment, please notify us immediately. Cancel only if it is an emergency. It is difficult to reschedule you since most appointments are made 4 to 8 weeks in advance. Orthodontists - Angle Orthodontics serving teens and adults in Glendale, AZ including the surrounding cities of Phoenix and Peoria, AZ.